Nearly 1,300 domestic and foreign artists are brought together at the 2018 Hue Festival, which is taking place from April 27 to May 2 to stage unique art performances representing the typical cultures of different regions in Vietnam and abroad. 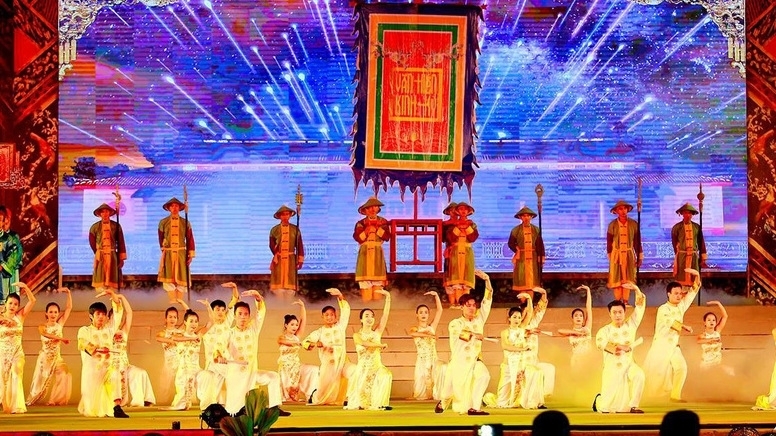 A music show featuring “hat xam”, “hat cheo”, “nha nhac” (Hue royal court music) was held at Dien Tho Palace in the imperial city of Hue on April 30, attracting a large crowd of people who love traditional melodies. Considered a highlight of the Hue Festival 2018, “Van Hien Kinh Ky” (Capital Civility) was a comprehensive art show which combines a variety of elements: dance, chorus, animation, poem reciting and music. 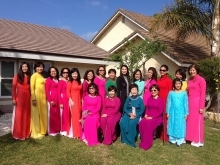 The 90-minute show featured all cultural values of Hue through heritage elements. The same day, a cartoon exhibition of the French Nouvelle Aquitaine region displayed popular works by French artists, presenting various stories in three languages: French, English and Vietnamese. 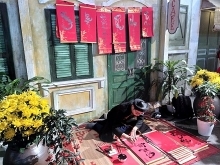 Earlier on April 29, a programme titled “Am Vong Song Huong” (Resonance of Perfume River) involved hundreds of professional and amateur actors and actresses, depicting the life cycle of people living on the rivers from their marriage, giving birth and raising children to passing down their occupation from generation to generation in a joint effort to preserve Hue cultural values. A street festival is being held on main routes of Hue from April 28 to May 1 with the engagement of art troupes from Thailand, Japan, Poland, Mongolia, Slovakia, Belgium and Vietnam. Within the framework of the festival, visitors were treated to art performances staged by the beatbox/acapella Berywam from France, Urpin folk artists from Slovakia, Yaese lion dance troupe from Japan, singer Noa from Israel, Nematatlin musical band from Mexico and Pambil band from Colombia, among others.